As the summer sun heats up our office the natural inclination is to dream of cooling off. 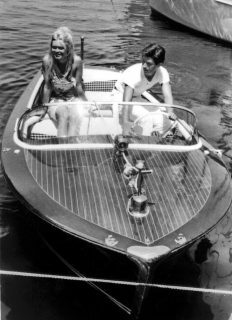 And given our specialty is vintage luxury, those thoughts often circle back to wooden boats, or more specifically, the ultimate wooden boat. 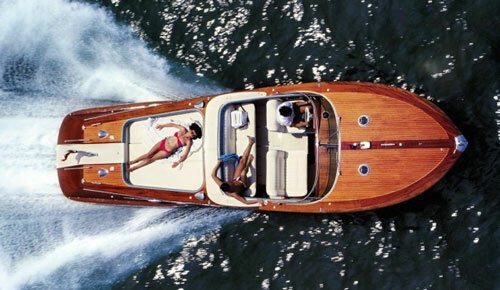 The popularity of wooden boats has ebbed over the years. Fiberglass, steel and aluminum have taken over as the builder’s material of choice, and in the high-end yacht market composite materials like carbon fiber are becoming common. 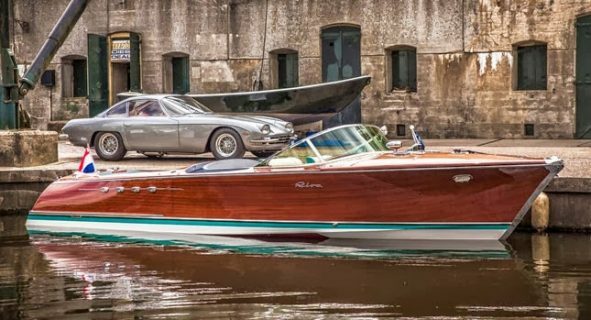 Wooden boats, with their stern maintenance requirements and lovely looks are very much in line with the classic cars we know and love. Both require substantial ministrations to be enjoyed on a limited basis. 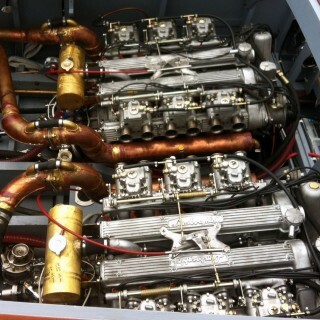 However, when the water and weather are perfect there are very few modern, ‘runabouts’ I’d rather be piloting. 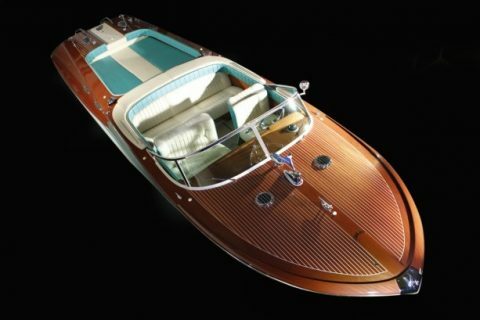 The Aquarama, Riva’s most popular boat, was in production for a staggering thirty-four years, ending production in 1996. 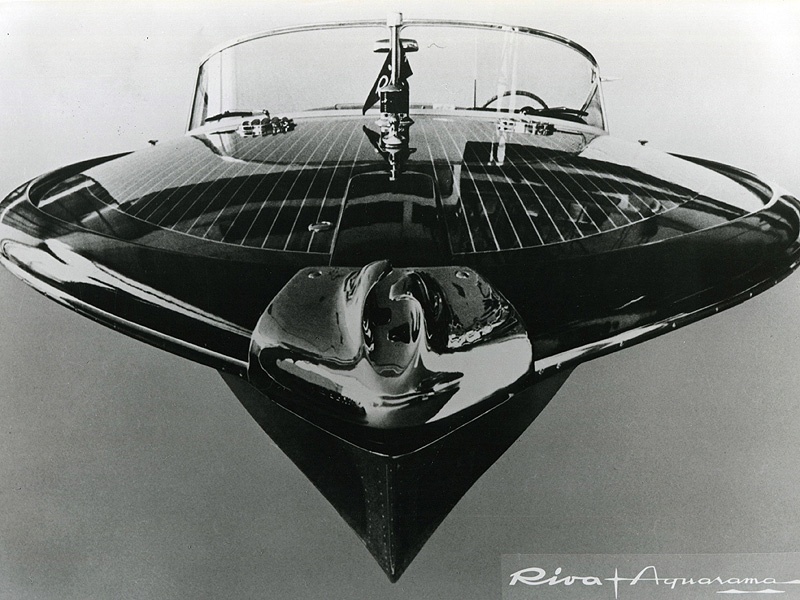 Riva itself was founded by Carlo Riva in 1892, and remained a family owned and controlled business until 1969. 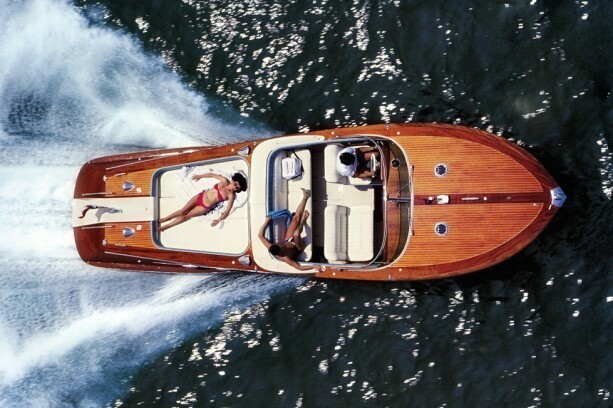 With just 769 Aquarama’s built, they remain both rare and expensive…however many of the boats still ply the waters of the world and seeing one in person conjures up a different, more romantic time. A time when dressing up for dinner was expected and a suitcase full of champagne and stem-ware was the perfect accessory for a dramatic night. With a deep V8 burble and surrounded by polished mahogany and heavy switchgear the Aquarama is the kind of summer ride that truly makes you wish you’d dressed for the occasion. However, if you do I suggest dressing for speed. 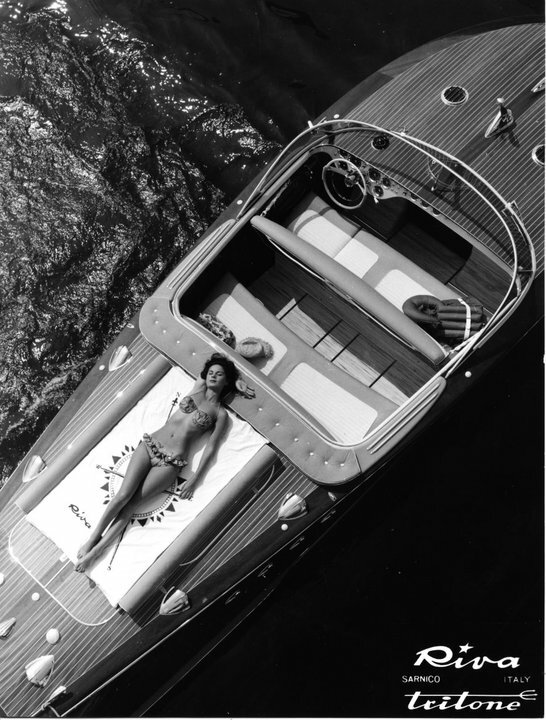 Riva boats were often referred to as ‘the Ferrari’ of boats for good reason. At eight meters long with up to 400HP, there was a lot of performance in these small boats. 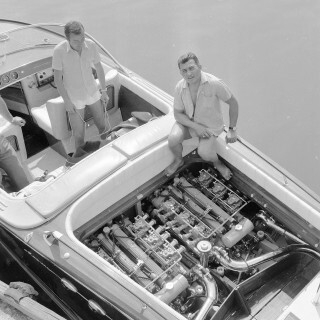 When these large output motors were coupled with a great hull, smooth lines, and a wrap-around wind shield, 45 MPH was common. This is the kind of aquatic speed figure that remains impressive nearly twenty years after the final boat left the shop. 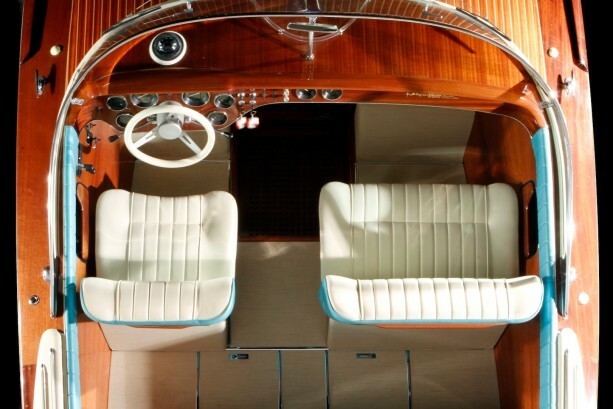 Riva, a yacht builder by trade, also put as much into the materials and look of the cockpit as they did ensuring the boat would move. High sills kept the wind and spray from encroaching on the passengers, the controls were heavy and intuitive…and uniformly gorgeous. Equipped with a passthrough gang-way and a swim and sun deck, as well as a retractable top, Riva owners were well prepared for a day of aquatic leisure. However, at the end of the day, the Aquarama’s popularity remains in its iconic shape. It’s the lines of the boat that capture people’s attention. The wide bow swooping rearward into an elegant tapered stern. 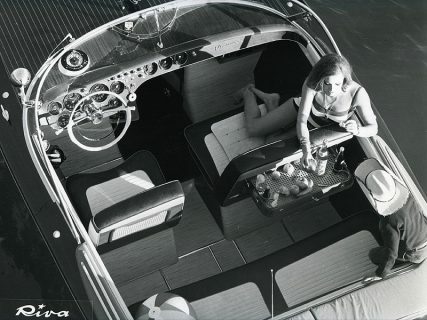 Riva made the kind of singular runabout that has haunted many a boat buyer’s dreams. Petrolicious endorses fast luxury and it’s wonderful to discover amazing conveyances that fly and float as well as those that drive and if your summer activities take you to a suitable body of water, I highly suggest finding a Riva Aquarama to transport across it. 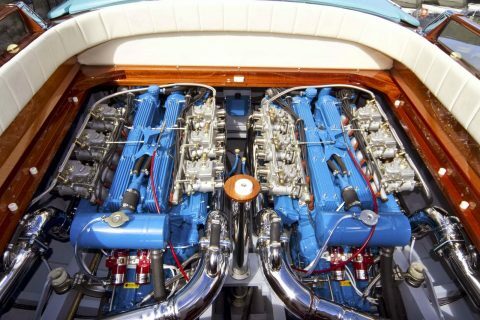 As lovely as the Riva is, and they are. The one thing it most definitely isn’t, is a yacht. Yachts have masts and sails, the Riva doesn’t have these attributes, now does it. My absolute dream boat. I even have a picture of one hanging in my office. 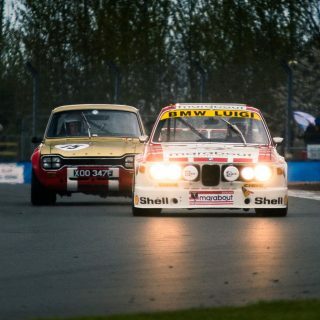 absolutely stunning marriage of form and function! 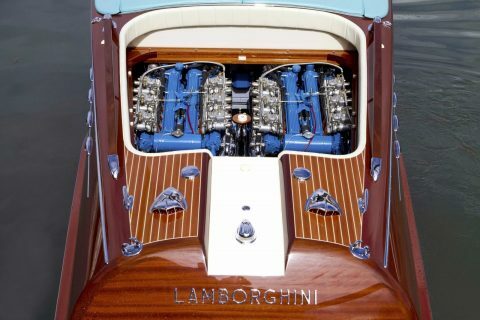 i saw them first time in Dubai boat show and i fell in love with all the wood work and the space on board and the unusual designs. Stunning! The craftsmanship is amazing! 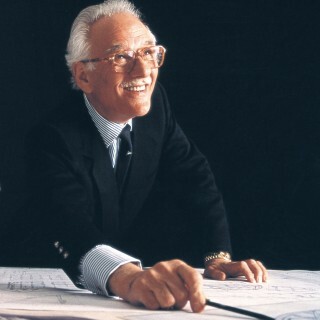 I was hoping a Riva article would make it’s way to this website sooner or later. 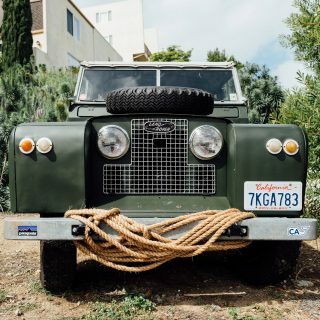 Maybe the team at Petrolicious can break their wheels-only trend for video features as well. 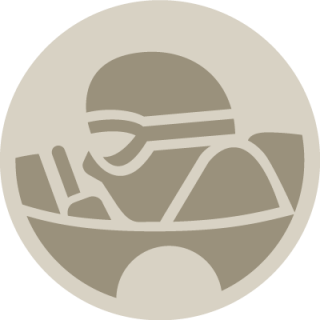 The internet is not exactly flushed with cinematically elegant boat videos, any more than it is with car videos of a similar nature…before this website showed up that is.